Where has your journey taken you since graduating from UTS? With more 200,000 UTS graduates across the globe, UTS alumni can be found in a myriad of occupations, industries and places – making an indelible impact on the world. There are hundreds of thousands of stories that are at the heart of our vibrant our graduate community – and we’d love to hear your story! 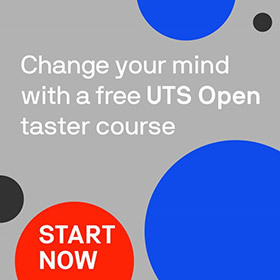 Where has your journey taken you since graduating from UTS? Do you have a personal or career highlight to share? Do you have a favourite memory or experience from your time on campus? Or did someone give you some life-changing advice while studying? What is your fondest memory of your time on campus? Where has your journey taken you since graduating at UTS? Any other memories/achievements you would like to share? What words of wisdom do you have for students who graduating from UTS today? Click to view help for this field.Please note, your birth date will not be published, it is just used to identify you in our alumni database.